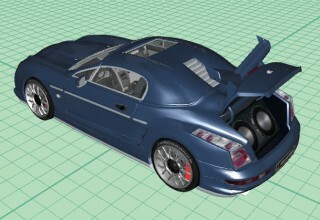 3DCar was the first fully interactive 3D car configurator (the project was started in 2005, when even 2D car configurators were very rare). The configurator is known for working well even on 5-6 year old PCs. It was recently disclosed to public in an exclusive online preview. With each passing year, automobile manufacturers increase the number of individual and extra options available for their models. 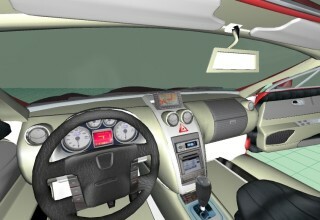 The idea of a 3D car configurator came to Bluemind Software's owner, Dr., dipl. eng. 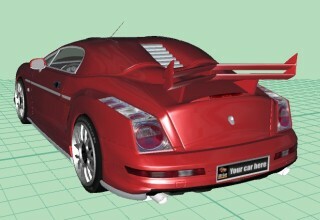 Bogdan DEAKY, in 2005, when even 2D car configurators were a rarity. 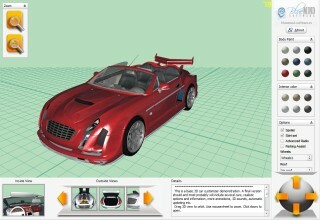 Inspired by earlier involvement in the development of CAD/CAM software systems, he imagined a 3D application where the user can immerse himself/herself in an interactive virtual world where he/she can customize the dream car and even interact with it. Effective development begun in early 2006, when there were enough resources and knowledge, but not before conducting a study regarding the most suitable technologies. This way, 3DCar allows for a maximum of innovative features, made available to the largest possible public. 3DCar is a project built with passion and features a set of innovations of which the most important is the full interactivity (users can click parts of the car to interact with them - open doors, trunk, hood etc.). A very important fact is that it runs fluently even on 5-6 year old computers. It was recently disclosed to public in an exclusive online preview. The latest stable version can be seen on public display at YouTube and on the project's website (please follow the links bellow). To see the exclusive preview, visit http://www.youtube.com/watch?v=eAyBxux_f-M. 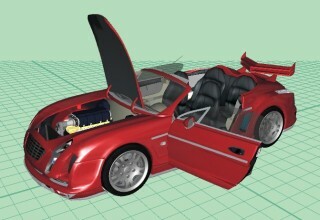 The project's website is http://www.3DCarConfigurator.com. The YouTube channel where you can see all 3DCar videos as they are uploaded is http://www.youtube.com/user/BluemindSoftware. Bluemind Software brings its contribution since 2004 by means of innovative products and quality IT services (software and website development), for several fields, with good experience in developing 3D, CAD/CAM, multimedia and engineering application plus applications that combine desktop and web technologies. The company is also involved in research as partner in a research consortium that includes universitiesand research institutes from Italy, France, Mexico, Greece and Romania. 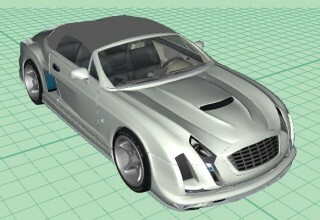 In the automotive industry it is known for developing 3DCar™ and engineering software. Since 2004, Bluemind Software's mission is to bring its contribution to the world through innovative and useful software products and through quality custom software development services (for example, the website development services comply with the ISO/IEC 15445 standard specifications). Bluemind Software is dedicated to the idea of custom software development and is intended to be a stable business partner for time to come. Therefore, they also offer the possibility and look forward to continue projects with upgrade development and maintenance. Some of the aspects that differentiate Bluemind Software: their team already has good experience developing 3D applications, CAD/CAM systems, engineering software, scientific software, multimedia applications, applications that combine desktop and web; they collaborate with experienced and talented web designers for creating truly original websites. Bluemind Software also collaborates with staff of the 'Transilvania' University of Brasov (involved in innovative European projects) and other institutions and, therefore, has access to specialists in several areas. Bluemind Software is partner in a research consortium that includes universitiesand research institutes from Italy, France, Mexico, Greece and Romania. In the automotive industry it is known for developing 3DCar™ and engineering software. Bluemind Software's website is http://www.bluemind-software.ro. Where did the idea behind 3DCar come from? What are the latest research directions regarding 3DCar? Is it true that 3DCar started as a voluntary project? Can the concept behind 3DCar be applied to other fields? Additionaly, you may take screenshots of any page on this website, Bluemind Software's YouTube channel/videos and the Bluemind Software website. Please visit Bluemind Software's YouTube channel to make sure that you see all the videos.